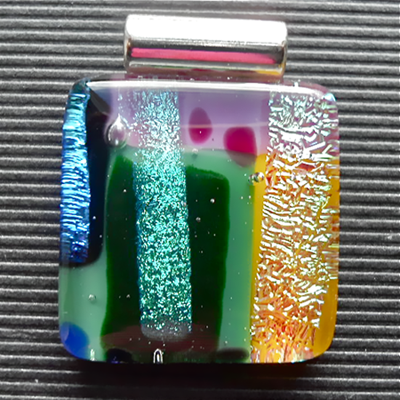 It measures 2cm x 2.5cm x 0.5cm and is made of three layers of glass. A layer of pieces of Yellow, Green and Lilac. Then a layer of many different colours topped with a layer of thick clear glass to make it shiny and chunky. It's hard to describe because of its abstract design.